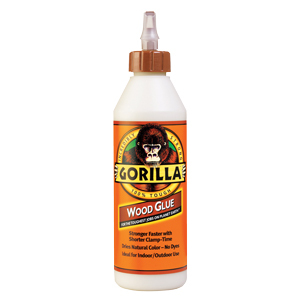 Gorilla Wood Glue is the adhesive that woodworkers, carpenters and hobbyists trust for their woodworking projects. 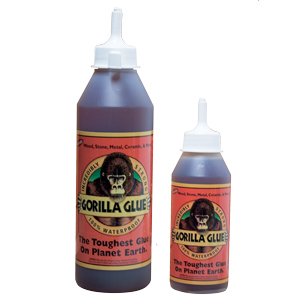 Gorilla Wood Glue, a PVA glue, offers the benefits of an easy-to use, water-based adhesive, with the holding power Gorilla is known for. The glue is incredibly water resistant and dries a natural color that offers an invisible bond line for your projects.